I have quite a love for the Real Techniques and I have got quite a good collection of them now. I have a varied set and have some for all eventualities in my make up collection. I did get this one in a set, so I didn't specifically pick this one out, but you can no longer get the set, but you can get this as a separate brush so I thought I would still review it as you can still get it. The brush is a typical foundation shape brush on one side, but the top of the brush has a triangle shaped point to allow it to get into the corners and is an unusual shape for a brush which I haven't seen anywhere before. 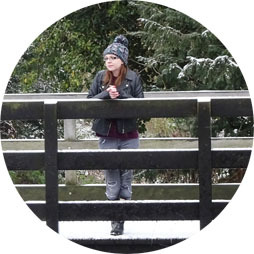 I am always a little sceptical of things that are different to the norm and so I didn't really know how to perceive this brush when I first saw it and came to use it. The bristles of the brush are synthetic so they are really nice to use and also means you can still buy the brand if you are conscious of real hair which I like. The bristles keep a firm shape but have a nice amount of give in them to allow you to be able to move the product on the skin. It has the three sides which can be used for different types of product, from concealer to highlighter and the smaller sectioned on top of the triangle side can be used to get into smaller places or apply more precise product like highlighter. 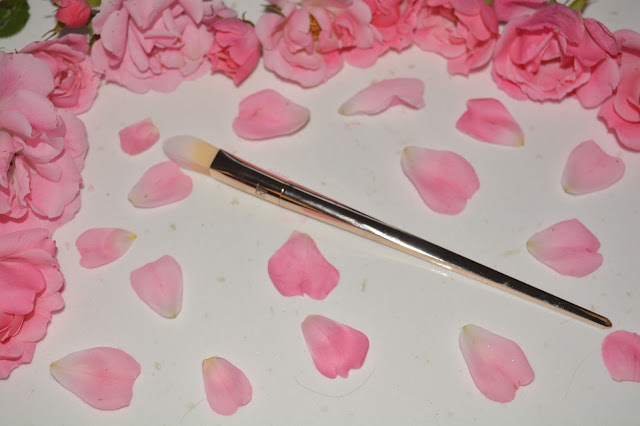 I have tested this brush out in a number of ways and feel like it has a nice shape which allows product to be applied precisely and easily where you want it to go. Its shape allows you to get into the corners of the eye and around the nose easily, as well as have the flat thinner edges on the top of the brush to apply product with. I think that somewhere along the way my make up skills never developed enough to be able to use a foundation brush and I always find them a little odd. I can never quite blend with any I've tried and I just cant seem to ever grasp it. Having said this I do still think the brush is really good, however my make up skills don't match up! The brush is £15 and can be found on Boots here if you want to check it out. I do feel this is a lovely brush and one that will work really well for people who enjoy foundation brushes, but unfortunately for me, I do not find them the easiest to use and had this not come in a set I probably wouldn't have chose to buy it based on past experience with foundation brushes. I do use this to swipe on foundation before blending it in with a sponge but I feel for the price I definitely feel I cant utilise it in the way it was intended, no matter how hard I try! 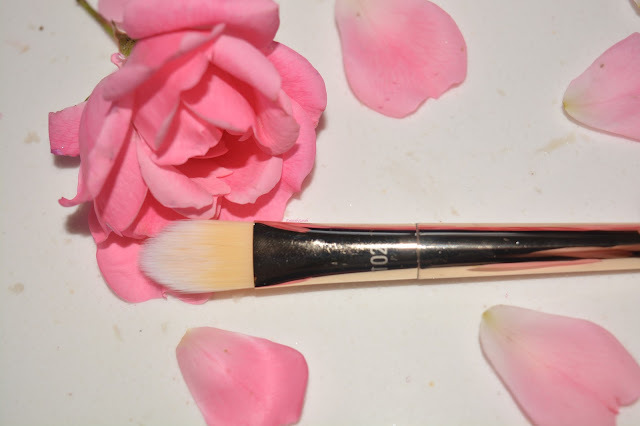 Do let me know if you have any tips for using a foundation brush as I feel like if I was to have some tips I may be able to do something with it, but if not I am considering passing it on to a home where it can be loved and utilised properly!